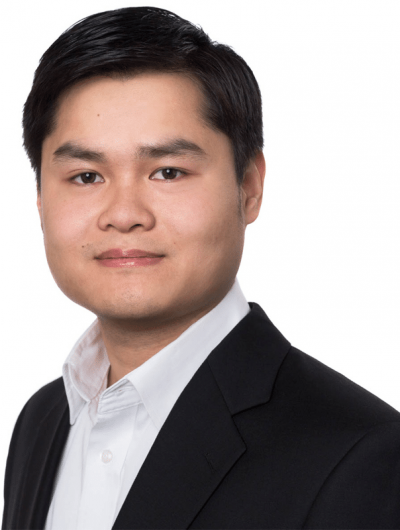 Tien-Anh joined UserTesting as the VP of Finance after extensive financial and strategic experience at OpenView Venture Partners, where he was an investor and advisor to a global portfolio of fast-growing enterprise SaaS companies. At UserTesting, he leads the finance, business intelligence and legal teams to provide the operations and resources critical to our mission. Here are four examples of internship goals that you should set at the beginning of any internship to measure its success. If you’re looking for customer conference tips, the success of Socrata’s Customer Summit provides some excellent lessons. What's the make-or-break secret to conducting successful CRM data analysis? Mapping out your game plan first. Scrum of the Living Dead: Are You Truly Agile? Is the spirit of Scrum alive and well in your team or are you simply going through the motions? Let’s continue examining the twists and turns on the road to Scrum perfection. Find out why business impact is the only way to prioritize your product backlog — and discover three keys to doing it well. Implementing Scrum methodology is a difficult process. Here are the 5 areas that need the most work when starting out. Why Is Describing Buyer Personas So Difficult? An successful go-to-market strategy requires defining market segments with the optimal level of details to be actionable and effective. Entrepreneurs, remember — through all your ups and downs, Ozzy Osbourne has a song for you. How Much Clarity Do You Have in Your Segmentation Strategy? A list of questions to help you achieve greater clarity during your customer segmentation strategy development. Inspiring entrepreneurship lessons from the history of Trek Bicycle and its CEO, John Burke. Traditional News Media: Alive or Dead? Expansion-stage CEOs: Have You Found Your Second-in-Command? 5 different ways to build more focus into your marketing strategy to amplify the impact of your branding and market awareness investment. Building Your Partner Ecosystem, Part 1: Who Are Your Potential Ecosystem Partners? Mid-level management and executives have got a bad rap but they really are the most important team members in your organization. Learn why the problem that vexes project managers the most is the problem of simply not knowing how to say 'no'. Here are six quick changes you can make to your website to help it project a more human character and speak directly to your visitor. Do you make software for business? Here are some simple ways to refresh your website design and grow your business in 2013. These five pricing strategy tweaks will make your pricing more attractive to customers. Establishing the right pricing strategy for your enterprise software product is an essential step in scaling your revenue. By looking for these five tell-tale signs you can build an early warning system and address product scaling issues before it's too late. Email Marketing Tactics: Do Your Messages Measure Up? Sales Compensation Strategy: Growth Booster or Cost Control? Sales Incentives Strategy: Elephant Hunting or Bread and Butter Deals? Raising venture capital can help you grow your company. But building a great, big business has far more to do with execution and vision. By analyzing your economic model you can determine the drivers impacting your performance and then move to improving productivity. An economic model is critical to isolating and analyzing the core drivers of your company's financial performance. How can fleet-footed upstarts challenge flat-footed incumbents who have grown rich in the increasingly competitive marketing environment? Can You do Market Research for Free? Yes, With Your Own Internal Databases! How Do OpenView Labs Work with Portfolio Companies? Does Your Website Speak to the Right Audience? How Will Tech Evolve Over the Next 12 Months? Check out these five predictions of what could be in store for the world of software and technology in 2012. Making Market Segmentation Work: You’ve Found Your Target Market Segment, Now What? Marketing consultants can help you find the right target market segment, but you will need to commitment and focus to execute against it. Who is the Southwest of Technology Companies? Can stiff competition actually be good for your company? It all depends on how you look at it. Most young marketers will arrive at a tech company with some basic skills, but it's your job to teach them to fight like warriors. Is Your Team Suffering from a Communication Breakdown? As startup and expansion stage companies develop, it's important for leaders to tighten communication gaps before it's too late. Customer Focus: Are Customers Truly the Focus of Your Organization? Employee Motivation: A Critical Business Driver at the Expansion Stage? When you were a start-up, everyone was essentially self-motivated. Now that your company has grown, will employee motivation persevere? How Apple’s wildy successful marketing of their new products really is a continuation of their classic Macintosh marketing strategy. Big deals for a startup? Techstars and YCombinators for later stage startups, who are you? Here is an outline of a quick start guide for keyword researchers, with details on the first point: working with the project sponsor. Product Positioning: Can You Describe Yours in Two Words? Keyword generation is an important component of any online marketing plan. Is your project set up for success? What Makes Great Product Managers at Expansion Stage Companies? Who is Responsible for Keyword Generation? Is making good, fast decisions in product strategy possible? Last week, the OCDQ Blog, one of my favorites, ran a curiously named post: “Thaler’s Apples and Data Quality Oranges“. Does the SaaS Sales and Marketing Economic Model Work? Are big platform monopolies stifling new product development? Product Strategy: Should you be building a platform? Enterprise CRM Implementation: What Would you Choose ? Is Obfuscation your Messaging Strategy? Metrics – Useful tools or Vanity traps? Are Standardized Marketing Metrics Too Hard to Measure? Google Cares How Fast Your Website Loads, So Optimize It! Does the SaaS sales and marketing economics model work? VMForce: A new lease of life for Enterprise Java? You’ve Got Your Segments, What About Personas? Social Networking for Researchers – A good idea? How to research companies in a particular sector?